Let’s face it, carpets that see the underside of people’s shoes need a little tender loving care every now and then. No matter how good a vacuum cleaner is, it simply can not be expected to pick up 100 percent of the dirt all of the time. The dirt that remains in the carpet gets ground down into the fibers. The result is that you are eventually left with a carpet that is matted and has lost all of its luster. Steam cleaning is one of the most effective ways to get rid of the lingering dirt and any stains that might be present in your carpet. In addition, though, the process will also help remove molds and dust mites that might have found their way into your floor covering. The method we use has the ability to loosen all of the unwanted items from the carpet fibers and then effectively suction them out. A huge advantage to using our steam cleaning service is the way our system helps remove harmful allergens too. Homes and businesses benefit when the air is cleaner for family members and employees to breathe. 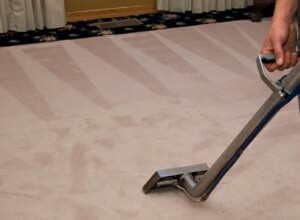 Periodic steam carpet cleaning is the solution for your carpets.